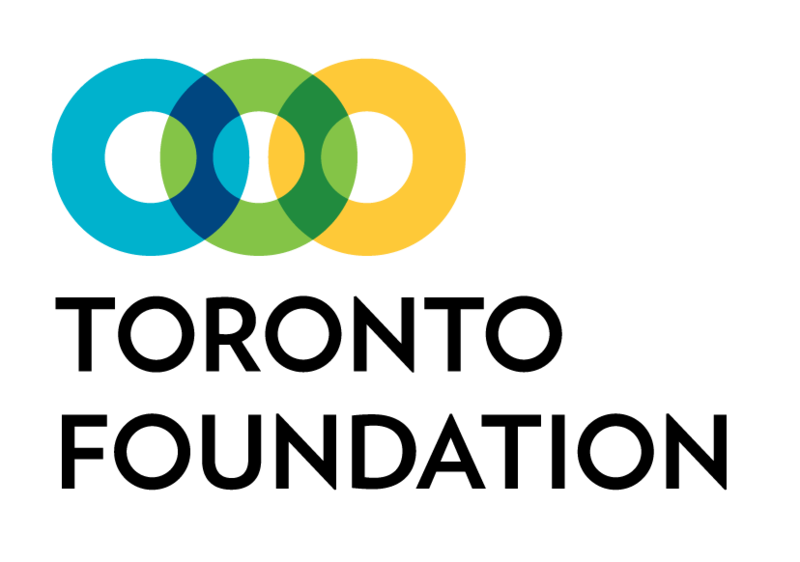 The Storefront’s Service Delivery Hub is one of the best known and most accessed resources East Scarborough Storefront offers to the KGO (Kingston-Galloway/Orton Park) community. At our hub, community members can find 35+ social service partners who help make their lives better – without having to travel to 35 locations around town! This week, we feature…. Since launching in July 2013, 5n2 Kitchens has been serving free meals from over 9 locations in Scarborough, seven days a week. In an urban center where many are facing challenging situations and are struggling to meet even their basic needs, the 5n2 Kitchens initiative is successfully providing free and healthy meals for hundreds of marginalized families, children, and newcomers each week. 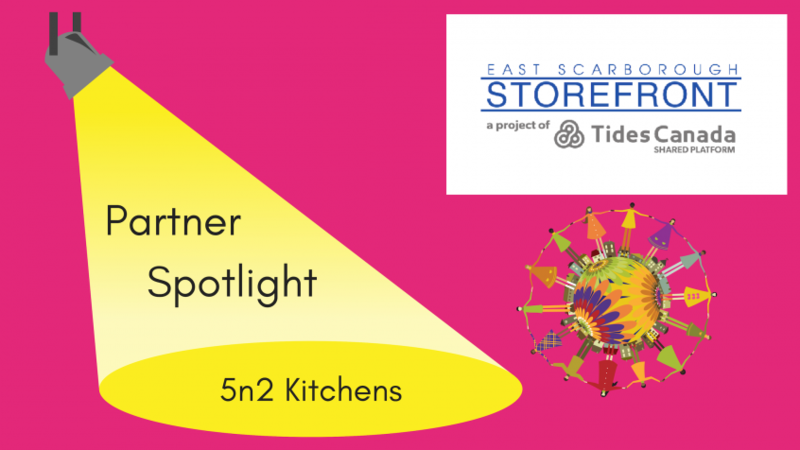 5n2 Kitchens began as a “God-given dream” in the heart and mind of Seema David. Taking her “5 loaves and 2 fishes”, she took a step on this journey. “Scarborough is my neighborhood and I want to serve my neighbors”, said Seema. “When I spoke to people about my vision, I began to see that there are many people who have the heart to serve but simply need a platform to give of their time and resources”. 5n2 Kitchens has a mission of providing nourishing soups and meals to neighbors in need. The vision is to work towards a hunger-free community where a meal is available for all who need it. 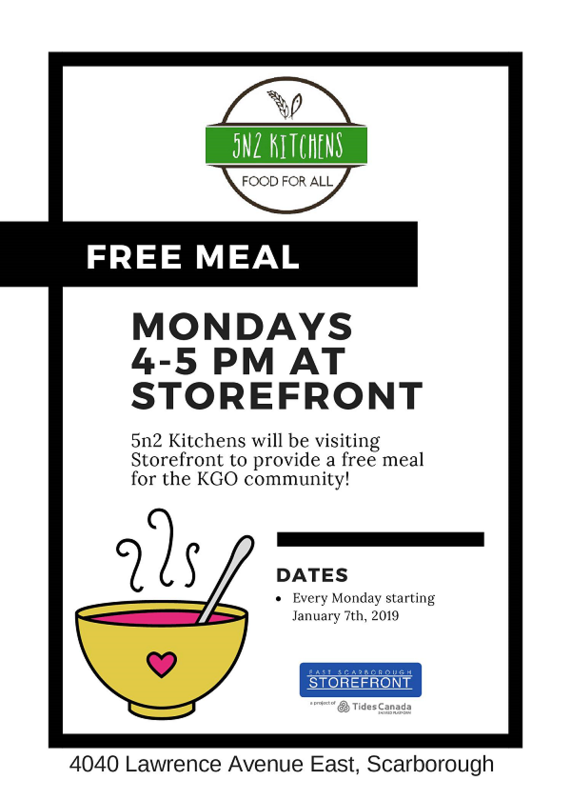 Every Monday from 4:00 – 5:00 pm, 5n2 Kitchens is at East Scarborough Storefront, 4040 Lawrence Ave E, providing free meals to the KGO Community. Please visit our Partner Spotlight page to learn about more Storefront Partners.